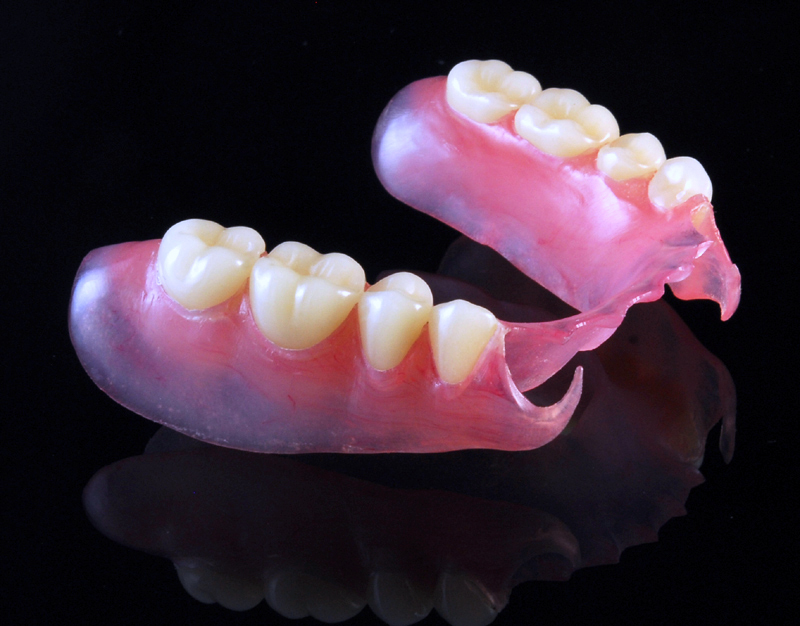 Valplast Flexible Partials – 3D digital modeling, manufacturing and repair. Still an innovative product after many years of clinical use, Valplast is an excellent esthetic solution for the replacement of missing teeth where cost or physiological factors preclude fixed restorations. 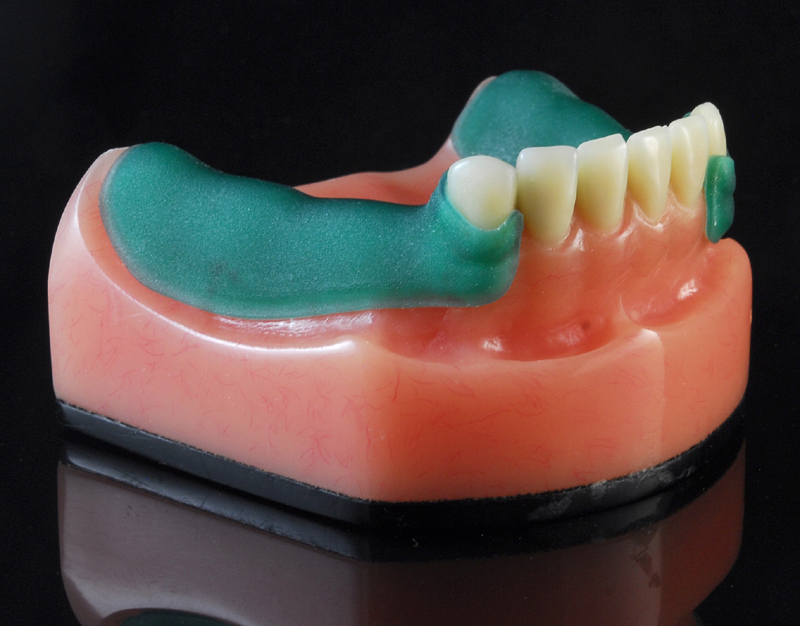 Valplast is biocompatable for patients with allergies to acrylics, and the level of comfort is superior to metal frameworks or other resin-based partials. 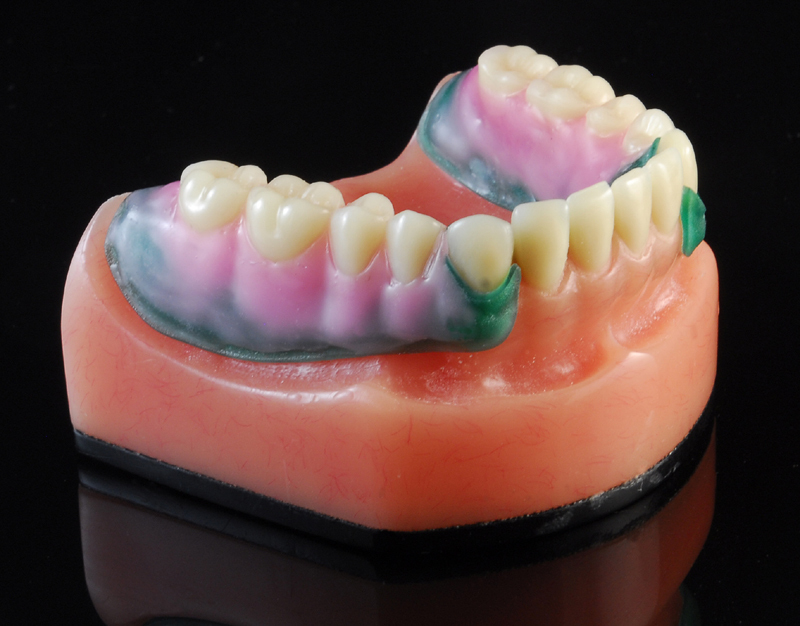 Udell Dental Laboratory was one of the earliest labs to incorporate 3D computer modeling and printing for flexible Valplast partials. 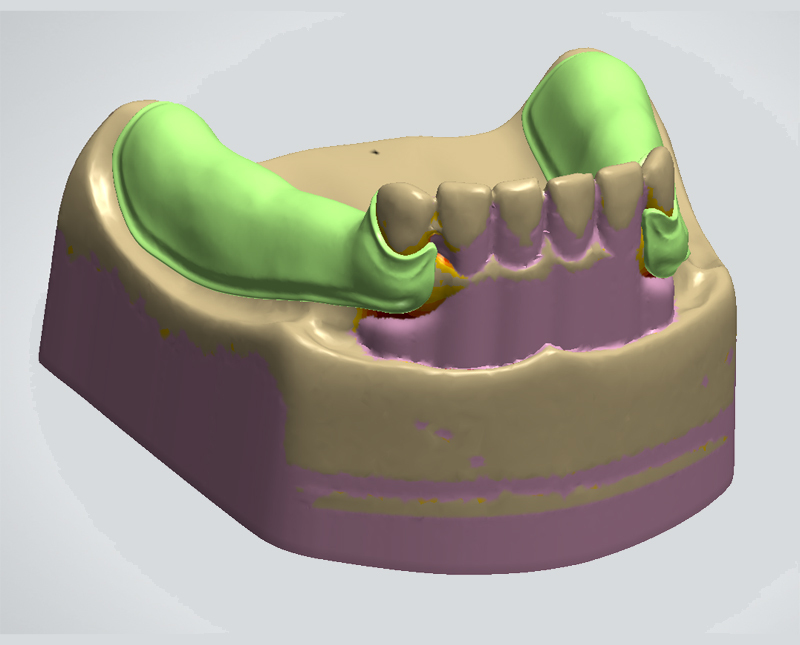 Computer modeling has helped the lab to deliver precisely fitting partials that require less chair time for the dentist and a better experience for the patient. Proven through over 60 years of clinical use, Valplast material is strong, non-invasive and virtually invisible. 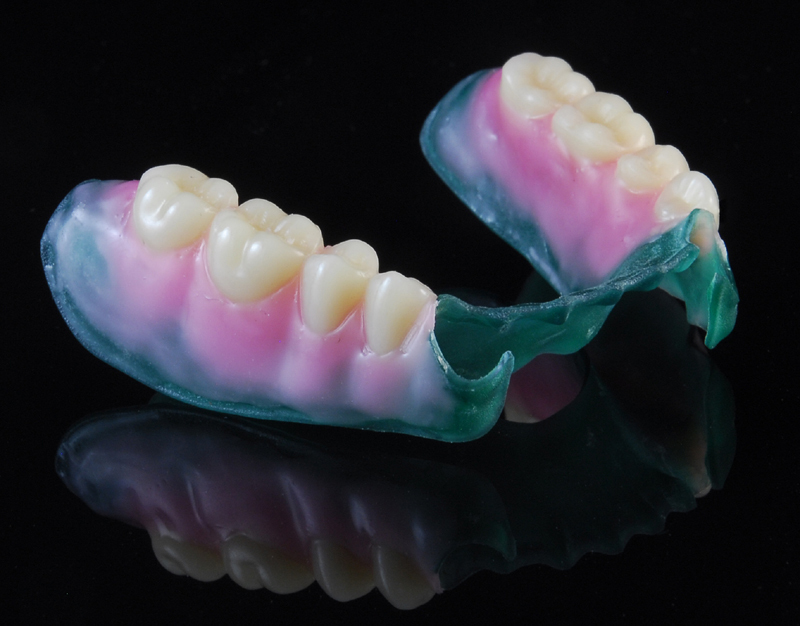 Because Valplast partials use a tissue-bearing technique for retention, they are designed by highly skilled and experienced lab technicians who are trained to determine the precise set of undercuts needed to hold them comfortably in place. 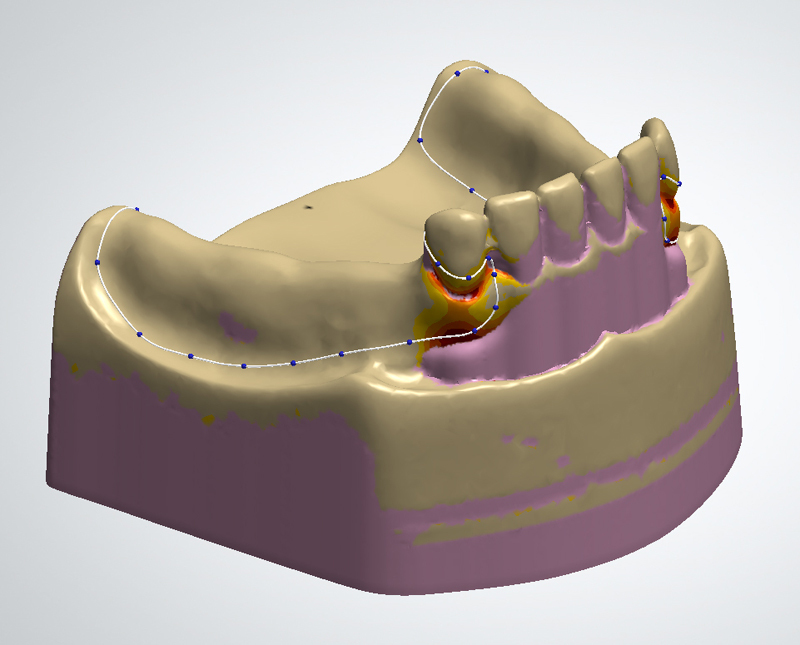 Computer modeling aids the lab technician in identifying the location and depth of undercuts, allowing them to quickly design the denture for optimal retention. Technicians also have absolute control over material thickness and contouring, which is an improvement over physical fabrication with wax sheets and wires. The accuracy, consistency, and repeatability of computer modeling greatly reduces the time-consuming finishing steps such as grinding and polishing, and allows the laboratory to deliver comfortable restorations requiring fewer adjustments at the dentist’s office. 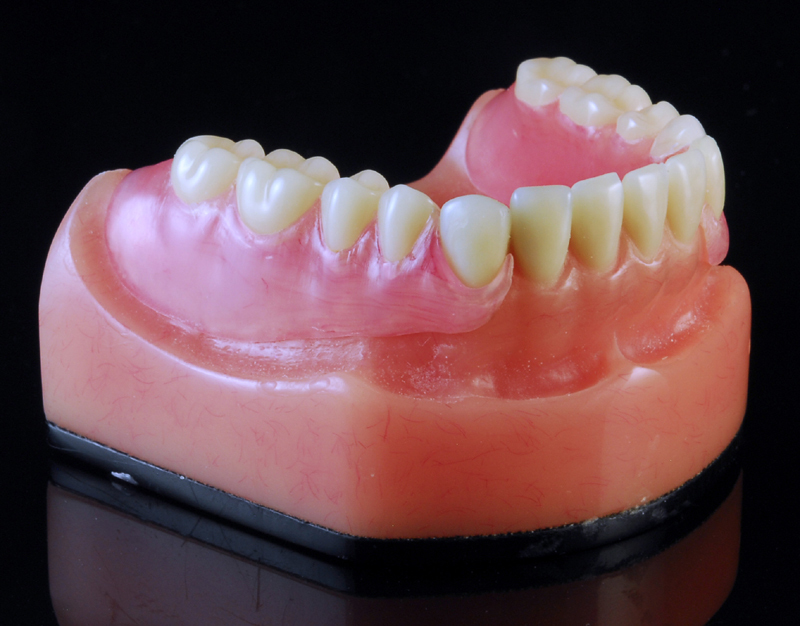 As an added economic benefit to patients, Valplast partials can be repaired or adjusted even after years of use. Udell Dental Laboratory is one of the few laboratories that routinely provide Valplast alterations and repair for patients with changes in oral anatomy or damaged partials. In order to be reliable, repairs should be made only by a Valplast certified lab, using materials and techniques recommended by the manufacturer.